Not everybody in the world can become a professional golfer. It takes years of practice, sacrifice and dedication to be on the PGA Tour as a successful golfer. Forget about the big names that you see on television, making it as an amateur golfer can be quite difficult as well. Paying the fees of a tryout in a golf course is certainly not everybody’s cup of tea. Playing golf has been seen as a form of luxury for the non-professionals, and it seems quite likely that things will stay that way for a long period of time. But there is no reason for you to drop your head in disappointment. If you can’t find the time to play golf, or if you feel that becoming the member of a golf club will be a little too heavy on your pockets, then you can always try out online golf games. It goes without saying that playing golf in an actual golf course filled with natural beauty and serenity is not the same as playing a game of golf online. However, it would be quite erroneous to say that online golf games are not worth the time. As a matter of fact, some online golf games can be just as fun as real golf, especially for those who are not too keen on heading outdoors during the hotter days of summer. Video game technology has come a long way. When you start playing a golf game online, you can definitely notice the development of video gaming technology. Finding an online golf game should not be too difficult for you since there are plenty of websites that offer free online golf games. The real challenge is to find golf games that are actually worth your time. Out of all the golf games that you can play on the internet, only a handful will be enjoyable and entertaining. The rest are simply not up to the mark and are filled with glitches. It is very important that you select the right websites or the right games when you do decide to spend your leisure time with a bit of online gaming. Golf games are well known to have a lot of impressive features, even though they are available easily online. 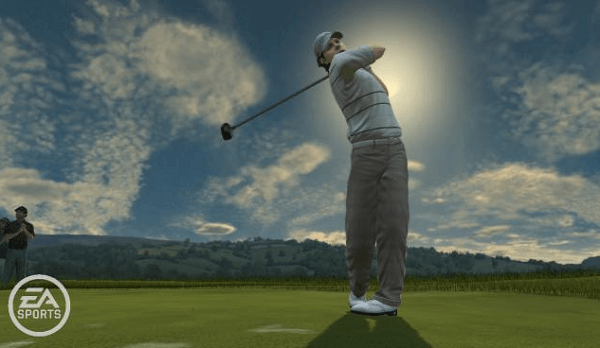 The games listed below are some of the best online golf games that you can spend your time on. If you are catching a break in between major golf tournaments or waiting for your golf bet to turn into gold, you can log into the gaming websites on the internet, find these amazing golf games and simply have a blast. Sometimes, smaller is better. This statement holds very true for online golf games. 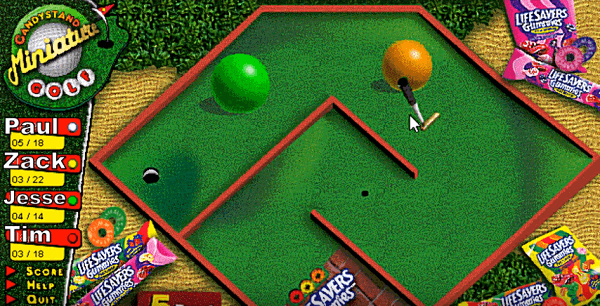 Mini golf games are an internet sensation. People who like online golf games mostly prefer mini golf games. One of the reasons for that is because mini golf games tend to be very colourful, fancy and creative. In other, from a visual standpoint, these games are a work of art. 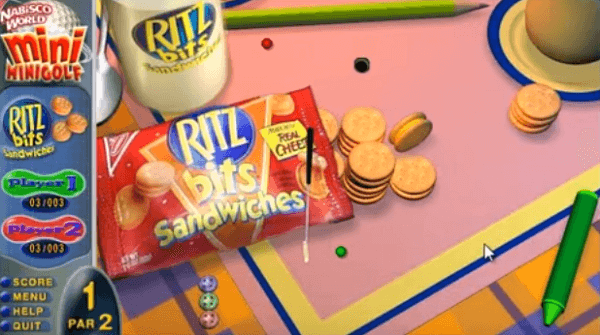 In addition to being an aesthetic pleasure, mini golf games are very fun to play and the Candystand’s Mini Golf is no exception whatsoever. You can play this game as an individual, or as two players, three players or four players. There are a total of 18 holes in the game. If you are struggling to get the ball in the hole, you can practice your skills on any one of the 18 holes in the game. The score for all holes are automatically recorded and updated after your complete playing each hole. This is regarded as one of the best free online games in the world, let alone one of the best free golf games. You can play a total of 18 holes. Each hole is uniquely designed and will pose a different challenge for you. There are two difficulty levels that you can choose from; amateur and professional. If you aren’t too experienced with online golf games, then our suggestion is that you stick to the amateur difficulty level. Otherwise, it is easy to become frustrated with constant failures in the game. That eventually makes you lose interest in the game. The professional level should only be played on when you have absolutely aced the amateur level. One of the really good features of this game is that you can actually choose the golf club with which your player is going to strike the ball. Each golf club has its own specialty in terms of the distance it offers and the ease with which it negates variations in the wind conditions. You can play as a male golfer or a female golfer. The 3-click clockwise swing indicator is great fun to use and helps you achieve maximum accuracy with your swing. Tiger Woods may have suffered a painful fall from grace, but his EA golf game is still one of the major attractions in the world of golf gaming. This is a game that you can buy or simply play online. The online version of the game came out in the year 2009, and ever since then, it has been a major hit among the aficionados of golf. Unlike the games mentioned above, playing the Tiger Woods PGA Tour Online requires a little bit of more effort. The game is slightly complicated in the sense that you have to complete registration and install a browser add on download in order to get the game started. However, once you do begin playing the game, all of those complexities will be totally worth it. The game is free per se. It allows you to play one round, every day, completely free of cost. However, if you want to play further, then you need to subscribe and purchase gaming points. Although good online games are meant to be free, spending some money on this groundbreaking game is advisable.